We begin this week’s edition of the MIS with some Suggs related news, and can report that the forthcoming Suggs & Friends event due to be held on the 1st November has sold out. As the event was a charity fundraiser, this is great news. Obviously, if you were planning to get a ticket and have missed the boat then it’s not quite so good. 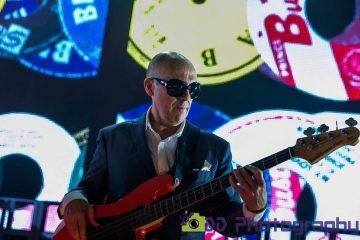 Suggs still has plenty of dates in his current King Cnut tour to go, so you may want to catch him at one of these shows if you were unable to bag one for the Suggs and Friends event. Check out our “Showtimes” section for more information. 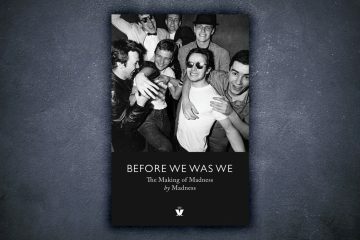 Madness were due to release a further single from their “Oui, Oui, Si, Si, Ja, Ja, Da, Da” album, with a penciled date of November 11th. The planned release was “La Luna”, and promo CD’s for this release were now doing the rounds. 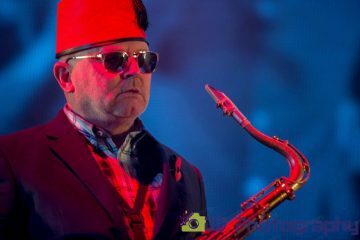 The release arrived in conjunction with a newly released lyrics video by Madness, which we feel had been creatively put together by the song’s music writer; the one and only Mr Foreman. A very nice job indeed. “What’s your overly expensive video idea then Lee?”, we asked directly. “Basis of idea for La Luna. Of course the obligatory band performance in an under water palace(Batman done this with great effect in their sixties caper fight scene) with a superimposed ‘Madness’ performing inside a Mother of pearl sea shell. The few other scenes would be of a skeleton Mariachi band, in full regalia, serenading a pair of overzealous Octopuses’ at table. Suggs as a Neptune/James bond/Pied Piper coming out of the sea surrounded by a group of ‘Puc’s’ ie Mid summer nights dream character. And various band members as men in the moon, a la the original. Moving on, and our Live and Intensified section ballooned this week as Suggs had announced a mass of new “My Life Story” dates spanning April and May 2014. 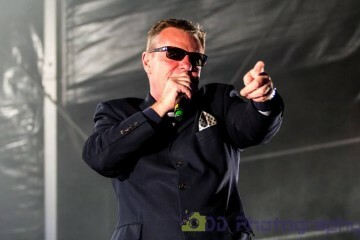 These new appearances would see Suggs kick off his tour at the Newbury Corn Exchange on the 2nd April and finish up at the Jersey Opera House on the 17th May. 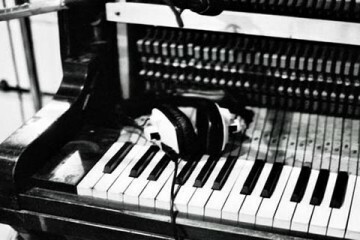 Moving on, and in”Sign of the Times”, we reported on “Isle Of Noises: Conversations With Great British Songwriters”, a new book from Daniel Rachel that found its author interviewing a wide variety of (you guessed it) British songwriters about their methodology, influences and on-going craft development. We featured two extracts from the book featuring Suggs and Chris. Our outro brought the issue to a close with the news that Lee Thompson had appeared in yet another new band line up. “. This time it was for a local charity concert at the Queen’s pub, with his son Daley singing. Some compared it to “Like Father like Son” the reunion. The closest Lee came to naming the band was when telling us that the event was “The Barnetarians”. “Time and tide waits for no man”, as the famous saying goes, and it would seem that the passage of time had finally caught up with that most famous of joke shops, as we discovered earlier this week that Camden’s Escapade was about to close its doors. While this did mean that another famous Madness landmark had gone the way of the west, it wasn’t all bad news as the store were merely relocating to larger premises. This week also saw the final run of the Madness musical, Our House. This week the show was in Southampton at The Mayflower Theatre. In this issue we decided it was time to catch up on the Blockheads old and new material releases. Out on the 20th was the new Ian Dury and The Blockheads boxset. Edsel was proud to present a box set of Ian Dury’s seven Stiff Records singles, in CD-sized replicas of their original classic 7″ sleeves, as well as a four song disc featuring Ian & The Blockheads one and only session for John Peel (or for any BBC Radio show), which was released for the first time in any format! The box also includes a bonus DVD of Ian and the band’s six promo videos for the singles, which had never been commercially released in any format, and had remained unseen since they were broadcast on a handful of occasions in the late 70s / early 80s. 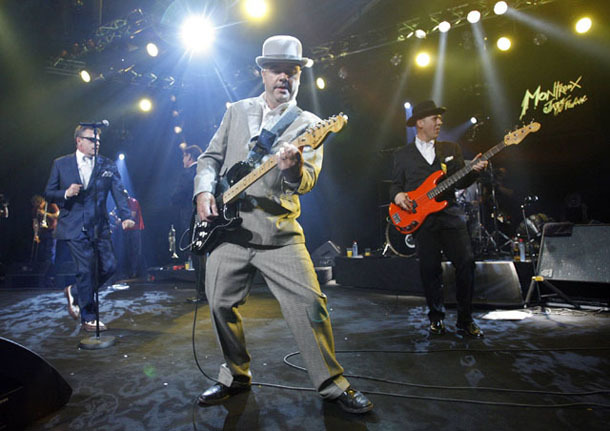 Moving on, and we had news in from Bristol Ska band, The Communicators, who revealed that they’d be performing at Camden’s Dublin Castle on Saturday 13th December. Not only that, but they were organising a coach from Bristol, so their local fans could come along with them. How was that for service? 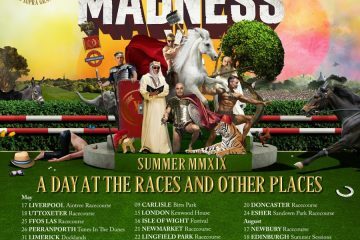 On to MIS competitions now, and we had a one of a kind prize for you this week, as we’d filled up a Madness wristband with a mass of Newmarket bits and pieces, to bring you the New Newmarket Hoof-band. Containing audio and video, this was something that any self-respecting collector would want to get their hands on. All you had to do to be in with a chance of winning this fantastic prize was to send us the funniest horse related thing you could find. It didn’t even have to be Madness related! We brought this issue to a close with the news that Concert Live, the company behind the live Madness CDs, were now running a 3 for £20 offer on the discs. Not bad at al. Duran Duran did it earlier in the year with the first of their singles box set releases, and although it came as little surprise when Madness did a similar thing, the release of Madbox 3, and the first 11 singles went down very favourably with the fans. Well, most of them. The majority of people who voiced their feedback seemed very pleased with this new released, but one or two were still critical that although this was a brand new box set, it was still essentially repackaging and re-releasing yet more material, which most fans already had on numerous formats. With the release of the first box set due before Christmas, fans were sure that it wouldn’t be too long before the second one saw the light of day. However, half a decade on, and we’re still waiting for it to turn up. One day, eh?! 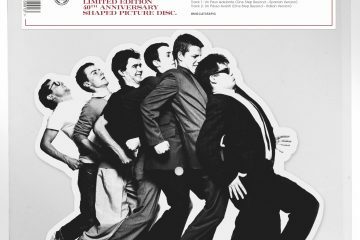 Although the chances of seeing Madness perform in a small club were extremely slim these days, we came to the conclusion that the closest you could get to the atmosphere of those early gigs was to attend one of the forthcoming gigs from North London band, MOT. MOT had played many famous Madness haunts including the Hope and Anchor, and the legendary Dublin Castle, where they actually performed their first public gig. The exciting news for the band was that non other than Dan Woodgate had booked the boys to play at a do he was having on the 3rd of October. Naturally, Dan and the rest of the band were extremely excited to play for one of their musical heroes. Last week we featured a rundown of all the appearances Madness had made on the much-loved music series `The Old Grey Whistle Test`. Since then `Tour Madness` editor, Jermaine has been in touch with us to provide a bit more background information on each appearance. Back in our special MIS ‘M’ issue we ran an article on a large collection of old vintage Madness clobber from the 80’s, 90’s and the last decade. They had all escaped from Lee Thompson’s attic when he generously opened his spare linen cupboard up recently and let us have a look inside for our 1,000th edition celebrations. OperationMIS@outlook.com to be informed of these sales, which will be funding the MIS website for next year and the Lee Thompson solo website we run with him at LeeThompsonska. The big news this week. Or the BIG ONE news that should be. Is that we have teamed up with Specialized and their event down south in November “A Conversation with Lee Thompson”. We have donated half of the shirts back to Specialized and Lee as their Ambassador who is appearing there. – A White, 1980, Absolutely baggy trousers design, mail order original MIS Tshirt. 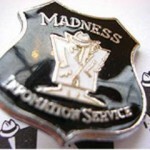 Lee describes this as “Gold dust” among Madness merchandise. This decades old shirt depicts the famous baggy trousers design leaving a space for the owners own head to appear atop of the cartoon body. It’s a lovely and very old item. The plan is to auction this shirt and have Lee appear at the head position and then take a group photograph with fans to make the item even more special as the band near their 40 years celebrations. If you would like to attend tickets are here.. Phone bids will be possible on this item even if you aren’t present. Email OperationMIS@outlook.com and we will keep you posted on details on this up to the November date, including how to register and phone bid on the day. The Big One 7 will also be selling/auctioning/getting signed etc… some of the following shits and will have their own policy and what and how these are sold on the day, from other auctions, raffle prizes and merchandise stall sales. Be there or contact them directly if these raise your interest. – A Black, Faded, worn, 1985, Small, Mad not Mad tour tshirt, album cover design with “Were you there?” on it. – A Black Long sleeve, 1992, XL, Xmas Madness Tour logo gold & white crown design in a circle. It’s Sunday October the 14th, and a second Premier (If such a thing is possible!) for the Suggs My Life Story Film. Part of the re-launched Pledge Campaign for the Julien Temple film version of Suggs’ first one man show, finally coming to DVD soon. The Pleasance is a smallish theatre, I would say about 150 there and the place is full. No Q&A this time but Suggs spoke sporadically in between songs. 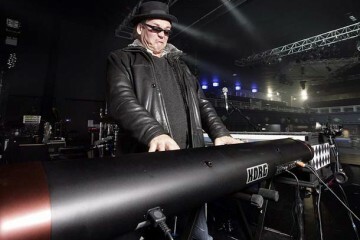 Suggs started by saying he wanted Deano to play some Chas n Dave and so he had a good go at There Ain’t No Pleasing You with Suggs attempting the chorus. A bit later when Deano was playing what eventually led into My Girl, Suggs asked him what the f**k he was playing and started singing a bit of Sideboard Song and Rabbit by Chas and Dave into the bargain. Lee was present and was on great form in the pub before and the theatre bar afterwards. Lee was exceptionally well behaved. I’m pretty sure Suggs didn’t know he was there, as Lee told us beforehand that he only found out it was on that morning and that was from Michael Fordham asking if Lee and Debs wanted to go with him and his wife. Lee didn’t even call out when Suggs referred to Lee breaking in to a music shop and having to stand still like a shop dummy when the police came by. Suggs was on stage about 30 mins then they showed the film. Merry as ever (hanging out with his friend Mr pint). Here are the tunes Suggs and Deano played… with some help singing from the audience. We bring this issue of the MIS to a close with some news from the Bolton News web site, sent in to us by subscriber John Smith.. 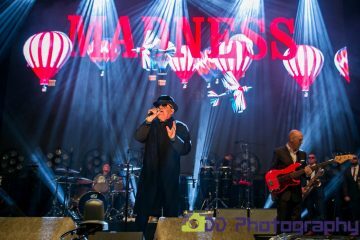 It turns out that Madness have given their support to a Bolton charity for homeless youngsters. The band were so impressed with a video promoting the “Backup” charity; the name of the homeless housing scheme, that they waived their licensing fee and let the organisation use the song “Our House” for free.